Good survey of black comic artists by the creators of Kindred. 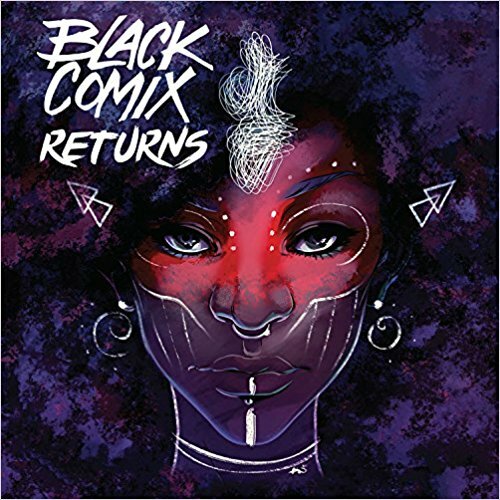 Black Comix Returns contains a short biography and representative art from over 70 comic artists of color. Both established and emerging talents are showcased. Most of the artists have the plot of one of their comics or graphic novels summarized too. There are also short essays about being non-white and/or non-male in a white male controlled industry. While this book would be a great gift for any comic/graphic novel fan, it is especially useful to young artists. Not only empowering to kids of color, the varying styles of art within this collection show the sheer volume of choices available to young artists. From manga to fine art to illustration to newspaper comics, the variety is impressive. Most readers will find several artists interesting enough to locate at their comic book store, local library or online. Initially, I thought this was more of an anthology of short comics than the survey of black comic artists. I would have preferred more in depth coverage of each artist. However, I did find several artists to look into further. 4 stars.